DURHAM, N.C. (BRAIN) — A committee of unsecured debtors — whose members include a long list of bicycle suppliers owed millions by the bankrupt former owner of Performance Bicycle and ASI — is suing some of the companies that hold preferential positions in a bid to increase the amount of debt they are ultimately able to recover. Company is relaunching with warehouses full of in-season products that were held back from the ASE bankruptcy liquidation sales. PHILADELPHIA (BRAIN) — Advanced Sports Inc., the distribution arm of Advanced Sports Enterprises, is now ready to return to full-scale business, selling Fuji, Kestrel, Breezer, SE Bikes and its other brands to U.S. retailers. CHAPEL HILL, N.C. (BRAIN) — About 95 employees at ASE's facility here — the longtime headquarters for the company's Performance retail division — were laid off Wednesday as it became near certain that the chain's remaining stores will close for good by next month. 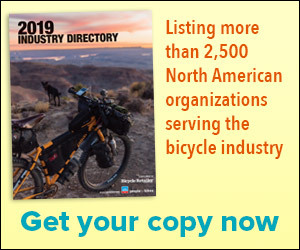 The layoffs ended hopes that Performance, once the country's largest bike retail chain with 104 stores and nearly 1,700 employees, would continue to operate brick-and-mortar stores. PHILADELPHIA (BRAIN) — Part of the group that has agreed to purchase the assets of Advanced Sports Enterprises said Tuesday that they are committed to operating ASE's wholesale business, Advanced Sports Inc., and will continue selling ASI's brands including Fuji, Kestrel, SE, Breezer, Tuesday and component brand Oval Concepts. GREENSBORO, N.C. (BRAIN) — A group of four companies called the Tiger Group submitted the winning bid to buy the assets of ASE for just over $23 million on Friday. A bankruptcy judge approved the bid; a closing is expected Tuesday. Sales hearing is continued until next week after Head says $9 million in cash should be included in the sale. A bid by Ideal Bike might get another chance. CHAPEL HILL, N.C. (BRAIN) — Head's bid to buy the assets of Advanced Sports Enterprises has become "problematic," in the words of one of ASE's attorneys, or "a gosh awful mess," in the words of the bankruptcy judge. At last week's auction, a group led by Ideal Bike outbid Head Sports for ASE's assets by $1 million. But ASE said Head's bid was best, and charged that Ideal had sold Fuji and Kestrel bikes last month in violation of a court order. CHAPEL HILL, N.C. (BRAIN) — Two sales hearings, scheduled for Tuesday morning here for the assets of Advanced Sports Enterprises, have been continued to Feb. 1. DURHAM, N.C. (BRAIN) — At a bankruptcy auction Wednesday, Head Sport — a European sports company best known for its skis and tennis rackets — agreed to purchase most of the assets of Advanced Sports Enterprises for about $22 million. The agreement is subject to court approval later this month. DURHAM, N.C. (BRAIN) — Specialized Bicycle has agreed to pay bankrupt Advanced Sports Enterprises $700,000 for rights to the Roubaix bicycle trademark in the U.S. Specialized and Trek file objections; court lets ASE "abandon" some inventory but suppliers work to recover the products. DURHAM, N.C. (BRAIN) — ASE's assets, including real estate and its bike brands, are being sold in an effort to satisfy creditors owed at least $100 million. Meanwhile, 40 Performance stores are set to close this month. DURHAM, N.C. (BRAIN) — A U.S. bankruptcy judge has approved Advanced Sports Enterprises' motion to cancel its licensing and manufacturing contracts with Ideal Bike Corporation, a Taiwan-based manufacturer that has been a backer and manufacturer for ASE and its ASI division. DURHAM, N.C. (BRAIN) — Advanced Sports Enterprises wants to end its licensing agreement with Specialized for the Roubaix trademark. The bankrupt company also is asking the court for permission to abandon inventory worth about a third of a million dollars wholesale, currently held by a broker. DURHAM, N.C. (BRAIN) — A bankruptcy judge has ruled that Advanced Sports Enterprises can hold store closing sales at 102 Performance Bicycle locations. The court also pushed back the auction of ASE's assets to mid-January. The auction had originally been scheduled for Dec. 18.